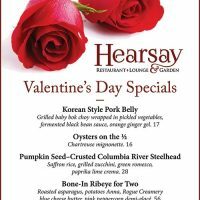 Join us for Valentine’s Day at Hearsay and enjoy our entire regular menu plus these delicious seasonal specials. 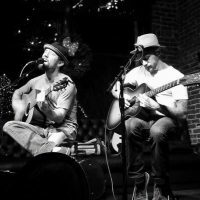 The Rogue Suspects have been Southern Oregon’s premier musical act for 18 years. 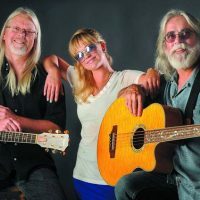 Whether appearing with or behind rock and rolls who’s who, or gracing the most prominent stages in the area, the Suspects have earned the honor of being named The Rogue Valley’s favorite band over and over again. 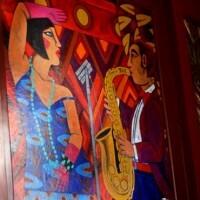 We will be closed Saturday, December 9 for a private event. Please come back and visit us soon. We will be closed Sunday, December 3 from 10am to 2pm for a private event. Evening hours resume at 4:30pm.